We, the School Sisters of Notre Dame, are Catholic sisters who have responded to God’s call to dedicate our lives to proclaim the good news, directing our entire lives toward that oneness for which Jesus Christ was sent for which God calls all. As Jesus was sent to show God’s love to the world, School Sisters of Notre Dame are sent to make Christ, to make God, visible by our very being, by sharing our love, faith and hope. Sisters work to transform the world through education with the belief that education extends beyond the classroom. We work in a variety of ministries, helping individuals and communities that are marginalized. Sisters serve in traditional schools, non-traditional education environments, hospitals, prisons, nursing homes, parishes and agencies addressing social issues. 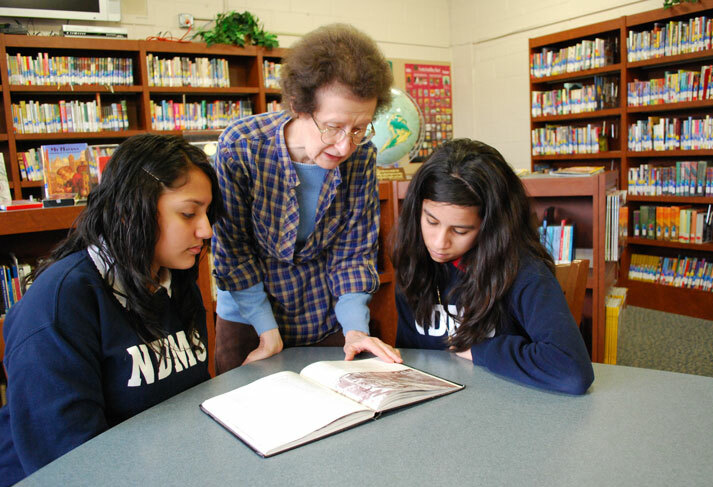 Learn more about becoming a School Sister of Notre Dame.